The home of Julius Babao and Christine “Tintin” Bersola-Babao is situated on a wide street in a gated village in Quezon City. Today it’s steeped in Monday sunshine, and the cold climate trees hardly move when an easy breeze sets in. White kalachuchi flowers catch the light while the boughs stay fixed to their spot. The only thing that looks poised for flight in this street is this beautiful home designed by architect Jason Buensalido. It’s shaped like an origami bird, and unfolds in just as many ways. “It was just recently that I found out that [the Babaos] had a deep affinity with birds and animals in the house. They didn’t even tell us to design something that’s bird-like,” he says, “it just naturally came about, as far as form-finding was concerned, and then they approved it right away because they saw that it actually looked like something that’s in flight—something that looks like a bird.” The form of the house also appealed to the Babaos’ spiritual life, reflecting as it did the mystical body. 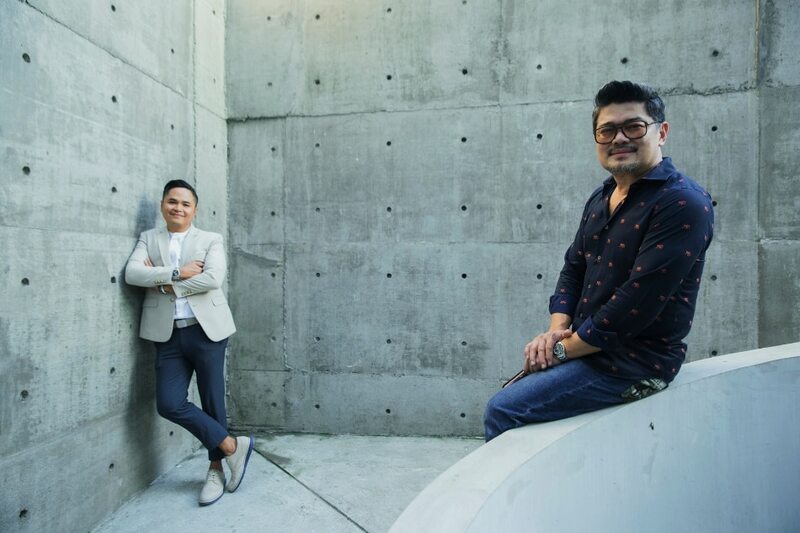 The design of the house was a collaboration between Architect Jason Buensalido, his firm Buensalido + Architects, and Julius Babao, the man of the house and a well-respected figure in the Philippine Art Scene. Christened Casa Uccello, the home was named for the Italian word for bird, and reflects the many stages of flight. The home began as a renovation project. From its original cubic shape, the couple were able to make the house grow organically after they purchased two adjacent properties over time. The new home is a reflection of its growth—its flight from original conception to its present-day form. “The house was really a search for a language that would bridge two disparate elements. So something new and something old. Something that’s free versus something that’s very boxed in,” Buensalido says. Bird-inspired forms abound within the house such as this drop lamp from Moooi called “Perch”, acting as a conversation piece floating in the midst of an undulating steel ceiling that engulfs the entirety of the dining room. The heart of the house is the living area that showcases a unique mix of mid-century and contemporary furniture and art pieces. Shown here is a luxurious sofa from Poliform, a customised centre table from Vito Selma, a whimsical Horse Lamp from Moooi, the iconic Egg Chair from Arne Jacobsen, and the Spun Chair by Thomas Heatherwick, among many others. 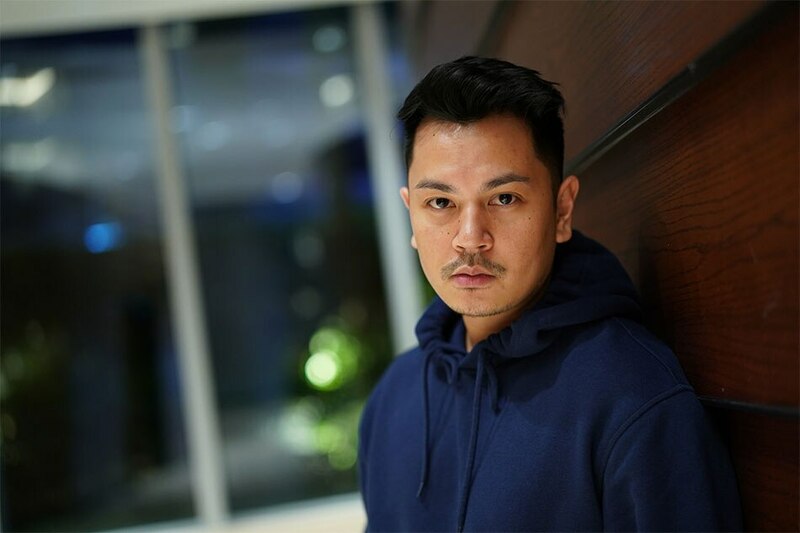 The walls are adorned by work from a host of sought-after local and international contemporary artists such as Jose Santos III, Ronald Ventura, and Elmer Borlongan, Jeff Koons, and Austrian artist Gottfried Helnwein. 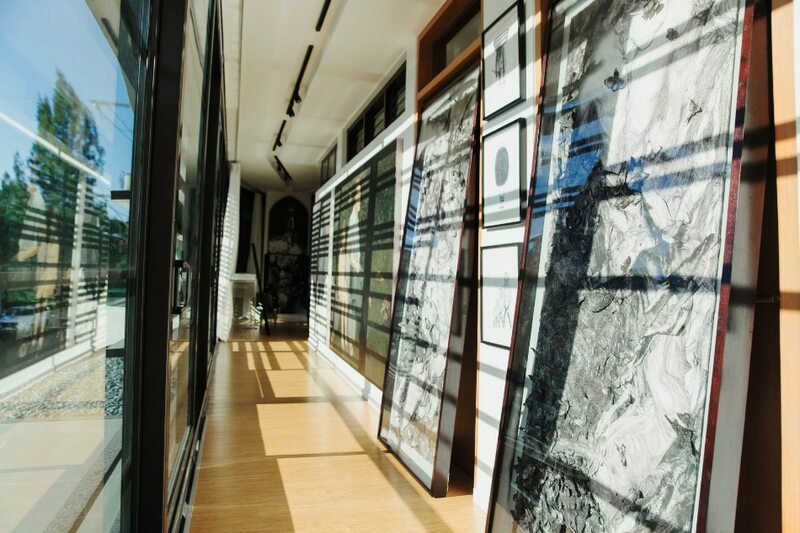 The home also showcases the Babaos’ extensive art collection, which counts in the hundreds—works from local masters to a few choice pieces from international art superstars. Parts of the house were built around the works of art—and there was a lot of negotiation between the couple and Buensalido. 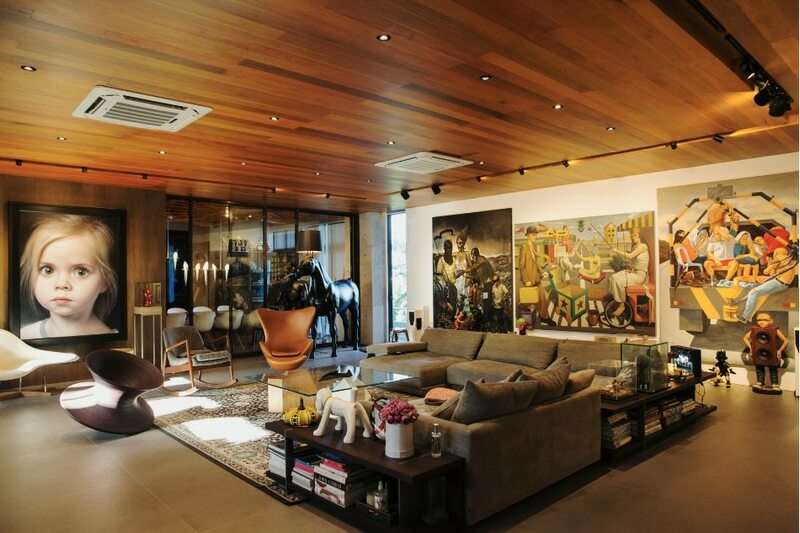 The architect wanted to fill the space with natural light but the couple needed wall space for the paintings. The result was a good compromise between natural elements and wide hanging space.